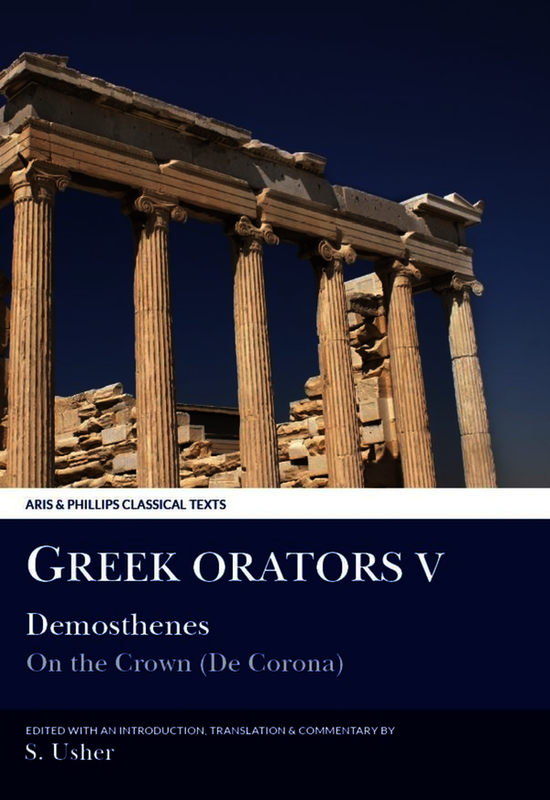 Universally recognised as the greatest speech by the finest of the Attic Orators, On the Crown (De Corona) is Demosthenes’ vindication of his lifelong devotion to Athenian primacy among the Greek states and opposition to the advance of Philip II of Macedon. He won the case, and his opponent Aeschines went into exile. By their verdict, the Athenian jury agreed that his fight for Greek freedom was worthy of their city’s traditions, in spite of military failure. Demosthenes defends himself and attacks his enemies on a broad front. Rhetorical skills, refined over thirty years, are concentrated in this final performance – skills of argument, narrative, invective and patriotic oratory deployed in a style rich in imagery, yet forceful and persuasive. This edition is the first to combine text, translation, and full commentary. The latter deals with historical, political and legal matters on an equal footing with those of rhetoric and style, as in previous volumes by the present author. Greek text with facing-page English translation, introduction and commentary. Edition of Demosthenes’ speech On the Crown. Greek text, with facing translation, introduction and commentary. Stephen Usher was Senior Lecturer in Classics at Royal Holloway and Bedford New College of the University of London. He wrote extensively on oratory and is the author of The Historians of Greece and Rome (Hamish Hamilton, 1969), Dionysius of Halicarnassus: Critical Essays (Loeb Classical Library, Harvard University Press, 1974), Greek Oratory: Tradition and Originality (Oxford University Press, 1999) and Cicero’s Speeches: The Critic in Action (Aris & Phillips, 2008). He has also edited and translated speeches for Greek Orators I, III and V in the Aris & Phillips Classical Texts series (volumes I and III co-edited with Mark Edwards).